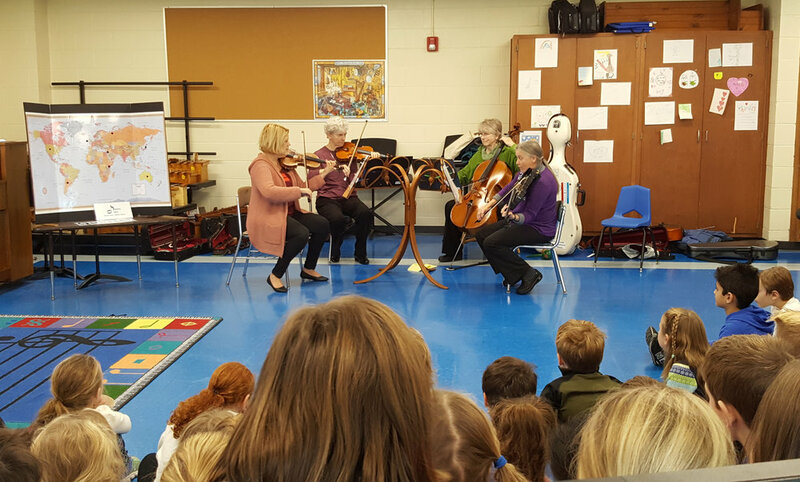 A new program – “Strings Around the World” – was presented to nine elementary schools in South County in the week of December 3-7, 2018. The MITS string quartet. Wendy Rios, Pat Petersen, Bunny Reardon, Diane Guillemette., with children from Fishing cove elementary school, north kingstown, ri. The String Quartet plays music that relates the time period of the composition to an event in American history and an invention that was created during that time. Composers include Mozart, Haydn Copland and more. The world of magic and imagination represented in music is explored through compositions by composers as diverse as Anton Dvorak and John Williams. Travel around the world with the String Quartet as they play musical selections from different countries. Enjoy ethnic instruments and other artifacts to identify global locations. Music by classical composers as well as traditional music are featured. A celebration and exploration of American history through events, places and the music. Including works by Haydn, Malcolm Arnold, Scott Joplin, John Williams, John Philip Sousa and traditional music including folk music and spirituals. 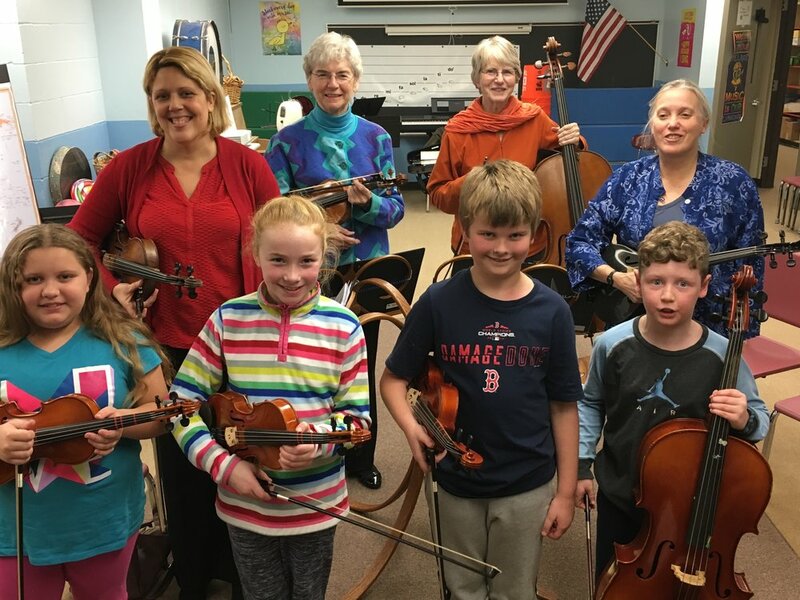 Music in the Schools Concerts are sponsored in part by RI State Council on the Arts (RISCA), the North Family Trust, and individual participating schools.